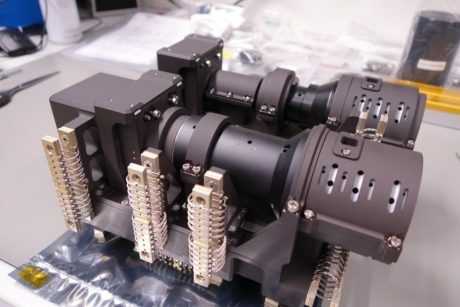 In the frame of the Kent Ridge 1 mission Berlin Space Technologies has developed a dual band VNIR & SWIR hyper spectral payload. The instrument is built upon a proprietary technology from Singapore. A special filter element allows the camera to act as a polarizing Fourier transform hyper spectral camera (PolarFour™). The payload incorporates a high performance data processing unit and data storage (DPU) for each of the two bands.